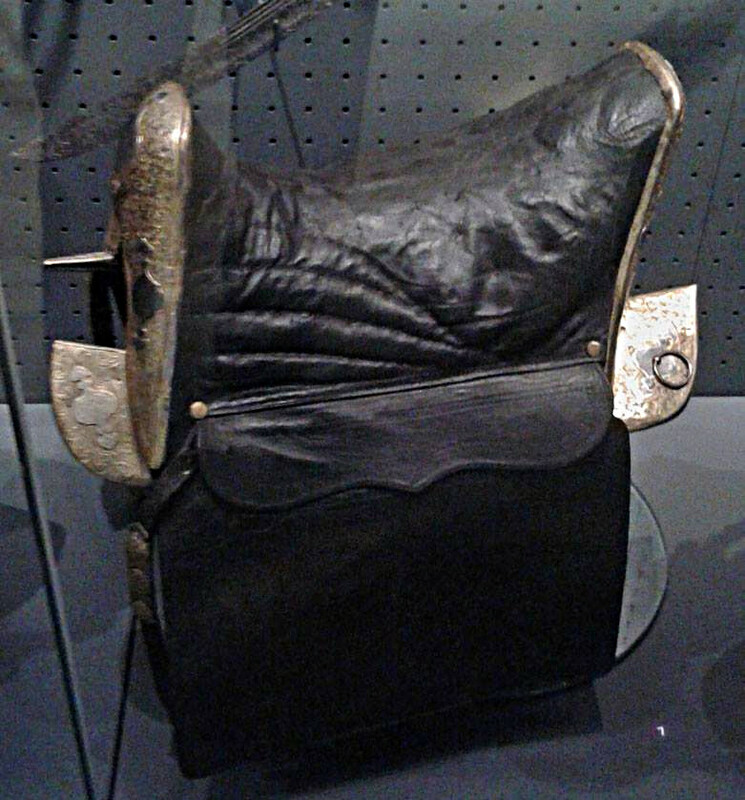 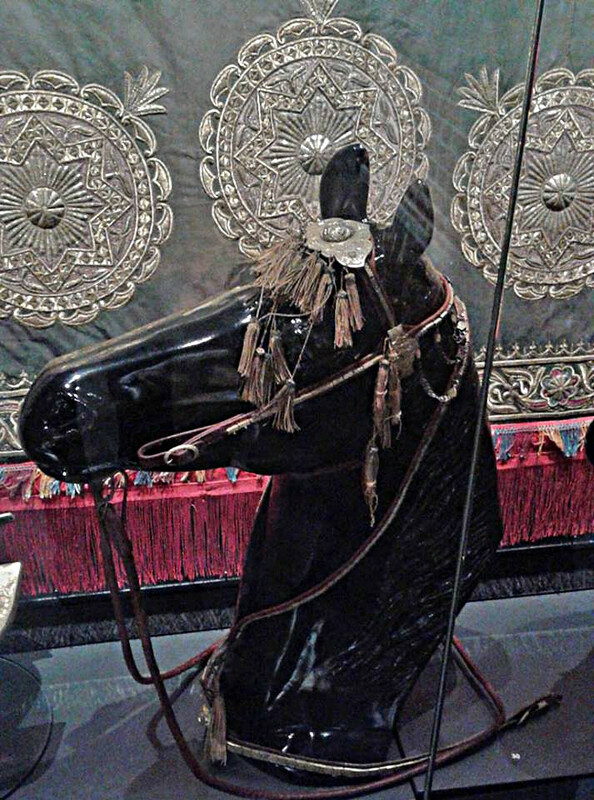 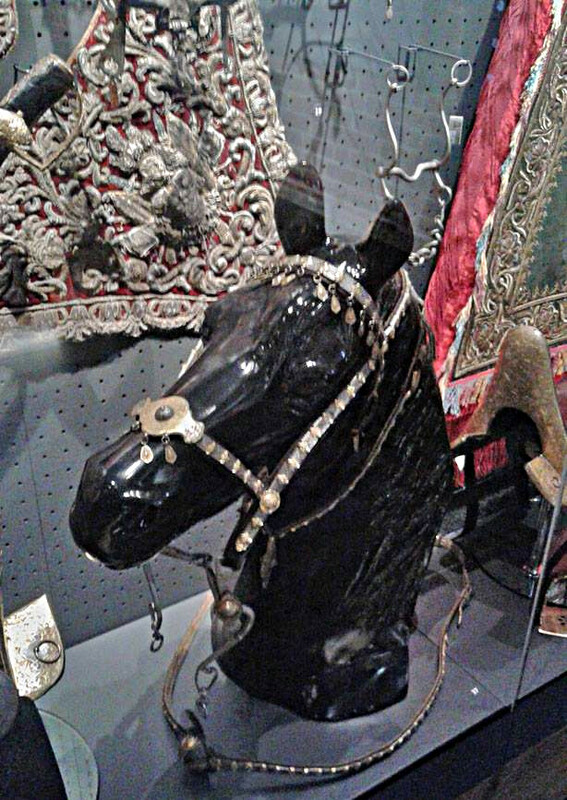 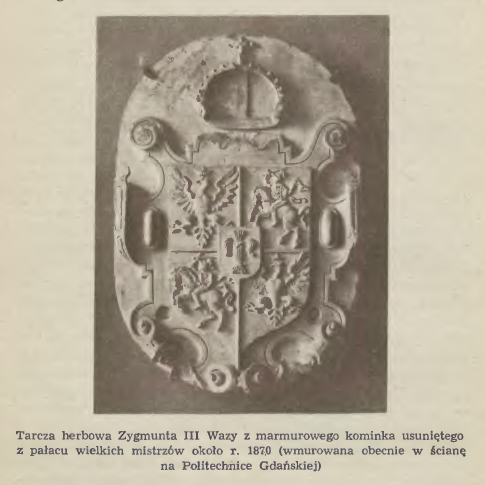 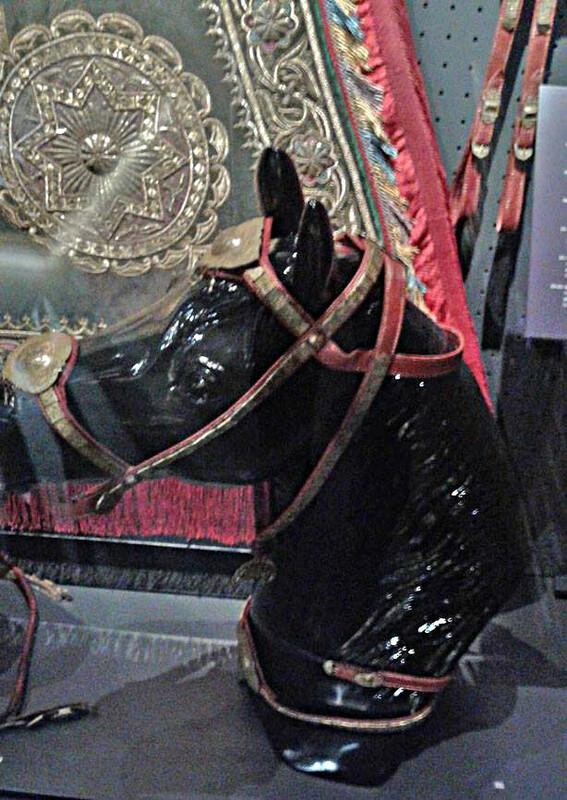 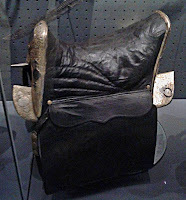 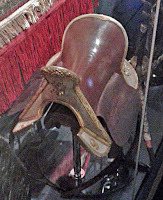 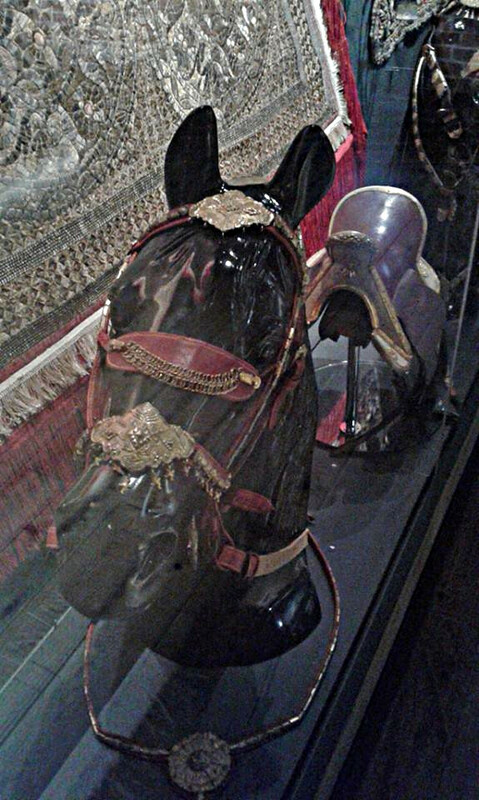 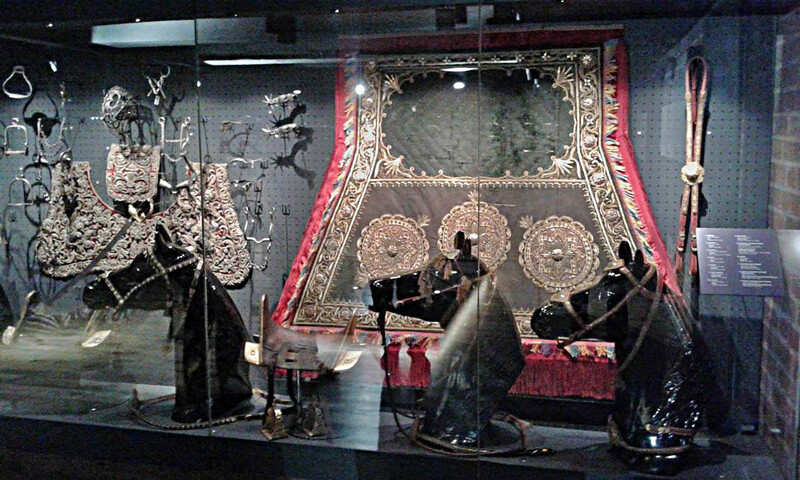 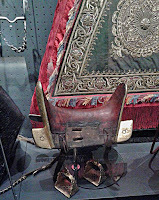 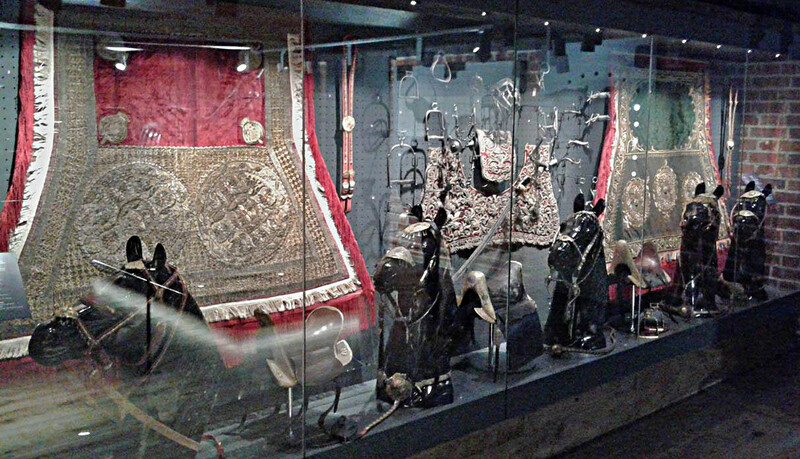 today I am going to share some photos - perhaps not be best quality but very informative - of some Old Poland horse tack. 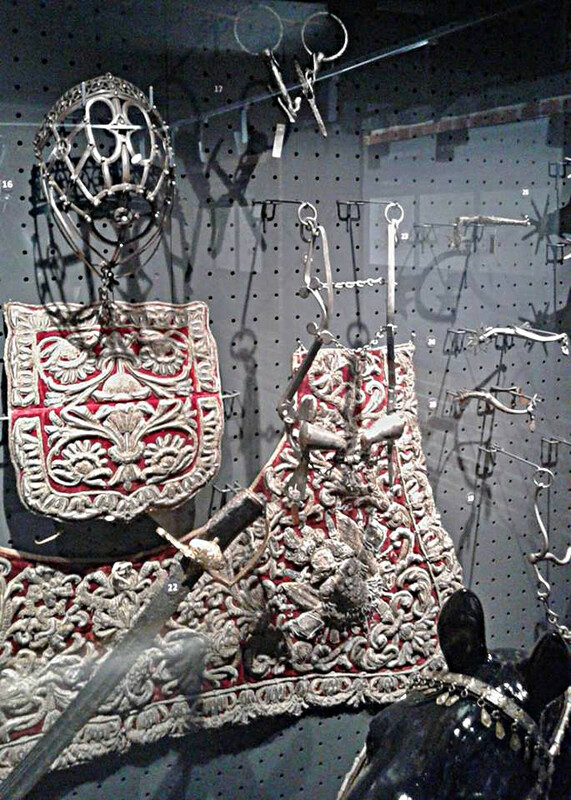 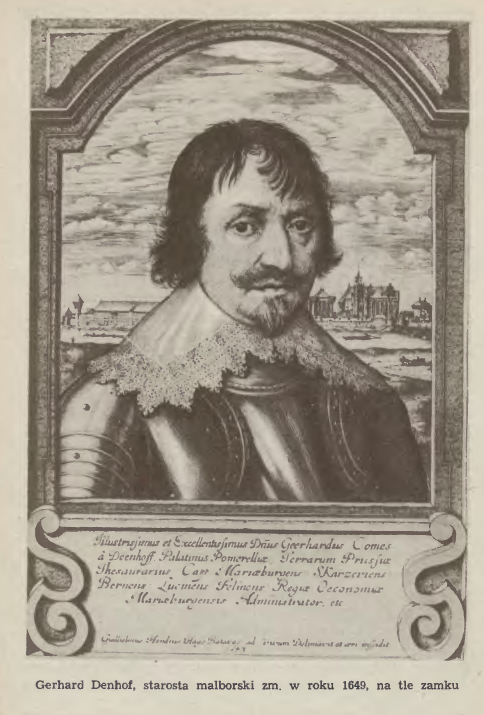 dr Radek took a tour, for the n-th time, of the castle and took some photos with his phone - hence so so quality- of the exhibits inside the castle. 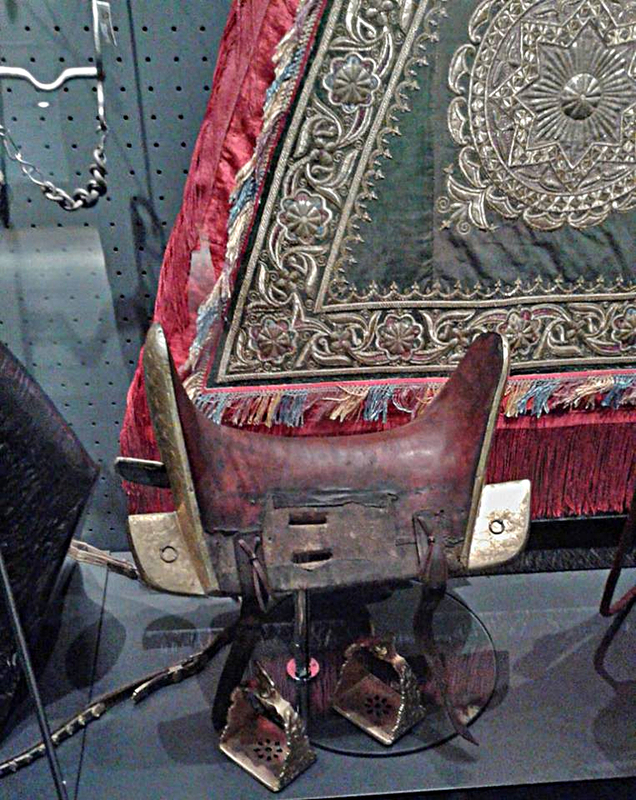 cub-bit and snaffle bit and metal muzzle with shabraque, spurs on the right..
Do you by chance know the approximate dates on the bridles? 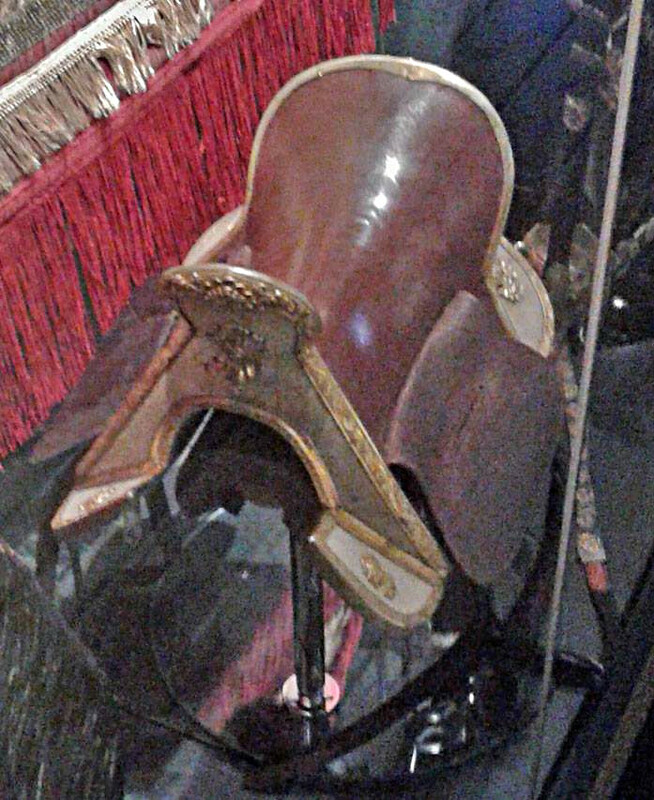 I'm guessing 1800s?